This is an explosive collection of essays, written by leading scholars of North American Indians, most of them heavily involved in service and applied work, often on behalf of Indian clients, communities, and organizations. In an area saturated with deadening, consciously politicized orthodoxy, these seventeen essays aim at nothing less than the reconstruction of our understanding of the American Indian-past and presentThe volume examines in careful, accurate but uncompromising ways the recent construction of the prevailing conventional story-line about ""America's most favored underclass."" 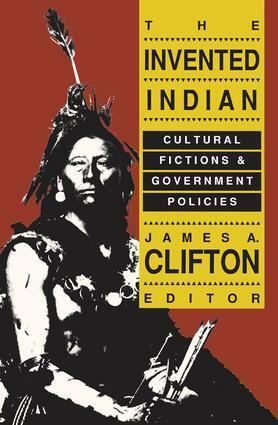 The first eight essays introduce the volume and treat a variety of specific invented traditions concerning Indians. These are followed by four essays on broader, thematic issues related to the demographic, religious, cultural, and kinship elements in Indian studies. The final five chapters express a comparative perspective: from Anglo and French Canada, Europe, from inside the Bureau of Indian Affairs, and from a legal position.The Invented Indian explores how cultural fictions promote divisiveness and translate into policy. Throughout, the volume reveals a deep and abiding respect for Indians, their histories, and their cultures, saving its critiques for jaundiced academics and callow politicians. Representing years of cooperative effort, this work brings together a group providing breadth and balance. Far more than a critical collection, it is a constructive effort to make sense of a field displaying empirical confusions and moral muddles. The volume will be of interest to anthropologists, professionals in Indian studies, and policymakers. Was the Indian Really Egalitarian?